I don't know about you, but when the weather starts to cool off my skin gets ANGRY (aka: dry, flakey, red, and generally pissy). It's frustrating, but I know that it's just the best way my skin has to communicate with me and tell me something isn't working. Some people may decide to plow through this time of the year using their beloved beauty products, but I just decided to give my skin what it wants: extra moisture. After all, that drop in humidity may feel great to me, but my skin misses that extra lovin'. This DIY packs a punch in terms of moisture! It is a little on the thick side to help you through the dry season. Mix the ingredients in a small jar and apply a small amount both morning and night or as needed to maintain healthy skin. Ah, the age old question. 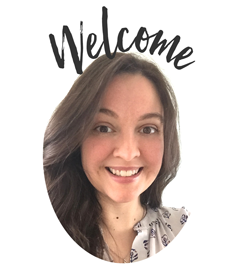 Readers are always writing me to ask about substitutions or if they really need an ingredient so why not just answer that right now!! A carrier oils is what you mix your essential oils into to "carry" it to do it's job, but what many people don't recognize is that not all carrier oils are created equally. Some are better for dry skin, oily skin, combination skin and so on. Avocado is one of the MOST moisturizing carrier oils you can find, but many people find it too thick. That's why I cut it in half with jojoba or almond oil-- both of which are very well tolerated by most people. You can substitute jojoba or almond oil for any skin safe carrier oil you love. If you find that you need more moisture then you can increase the amount of avocado oil. If you find it too oily then you may want to decrease the avocado oil to 25% of the mix. If you are allergic to avocados or if your skin doesn't like avocado oil, then please try Cucumber Seed Oil for another mega-moisturizing carrier oil. 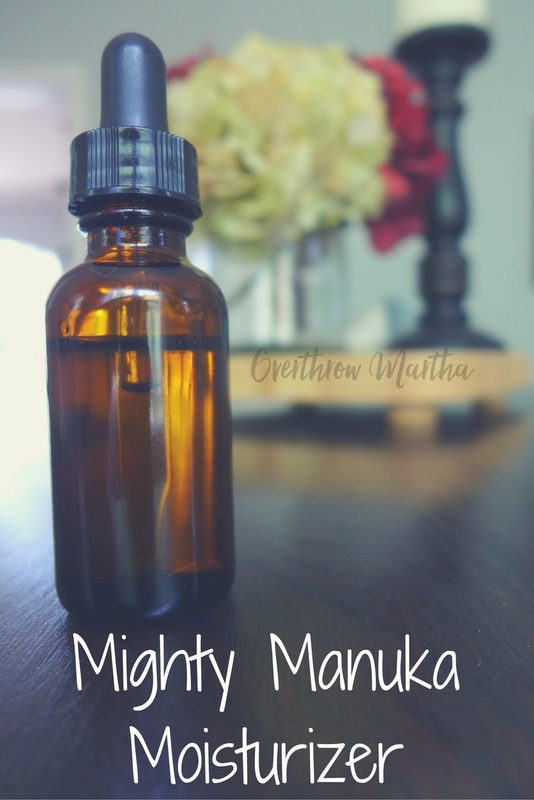 Manuka Essential Oil. Wow. If you haven't tried it you NEED to! 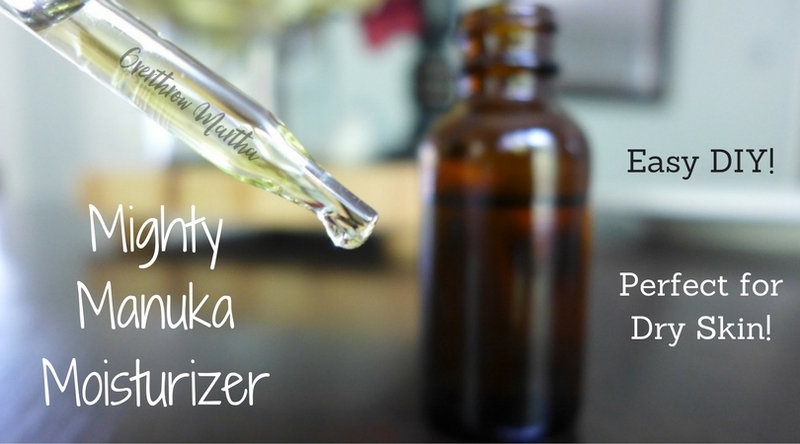 It has become one of my favorite essential oils for DIY beauty. It's so moisturizing that it makes my skin feel like a baby's bottom! It can help reduce the appearance of scars and bring a glow to your skin. Can you substitute it? Nope. It's one of a kind! Lavender Essential Oil. This is the swiss army knife of essential oils and it's known to be one of the best for every skin type. It's gentle enough for even the most sensitive skin and it helps to keep skin tone balanced. Substitution: Roman Chamomile works nicely or Rose Essential Oil for some extra punch. Myrrh Essential Oil. This is one of the best essential oils for aging skin and it is a a powerhouse when it comes to moisturizing and balancing the skin. Of course, if you don't have it you can use Frankincense, but -- I can't believe I'm saying this right now--- it doesn't pack as much of a punch in this DIY recipe. Do you need it? No. But do you want it? YES. I don't know if you've tried Vegetable Glycerin before, but it's THICK. A little bit will go a long way and it can help to seal in moisture for your skin. And puh-lease, do not use Animal Glycerin-- that's just gross and you will not like the results. Do you need it? Maybe. You can try the recipe without it and see what you think, but it will not last nearly as long without it. So you will probably be applying it more often so it could potentially save you money in the wrong run to buy the vegetable glycerin and start stretching out your beauty products. If you buy it-- I think you'll love it too. I'm a big fan and I hardly ever make a DIY moisturizer without it. 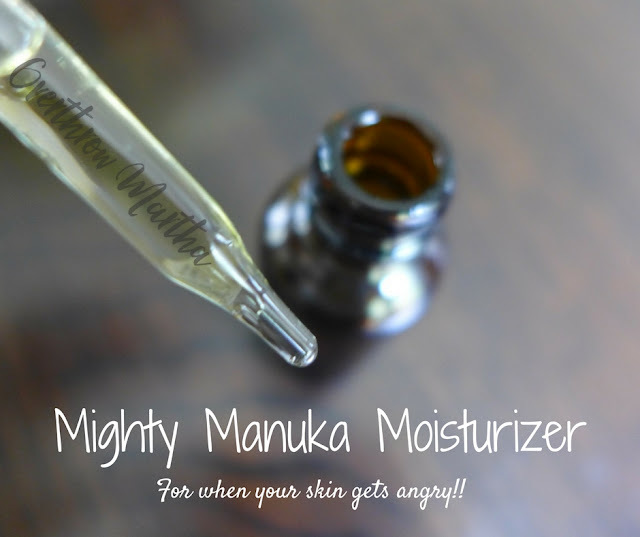 To maximize the results try using the Mighty Manuka Moisturizer with a Toner. If you put in your moisturizer and while it's still wet, apply the toner-- it will help to lock in even more moisture. Remember, not all essential oils are created equally or are meant for skin care! 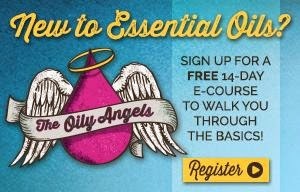 Using the wrong essential oils can result in skin burns, irritation, redness, breakouts and more. 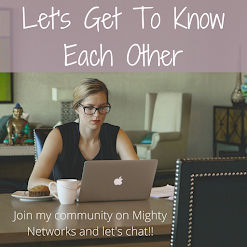 Make sure you read the labels or talk to someone who know a thing or two about DIY beauty. 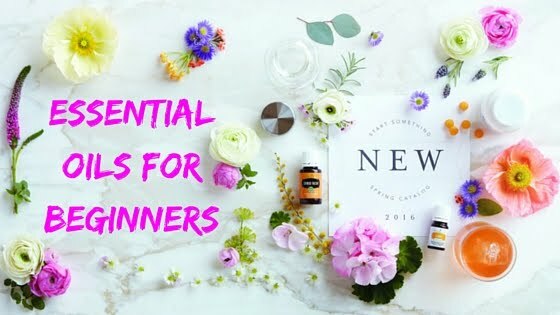 You can read more about the essential oils I recommend here or you can join my team for more 1:1 training by meeee!